An unusual cyberattack activity has been unveiled by online security vendor Kaspersky Lab. Find out how these cybercriminals attack each other and how you can spare your online presence from this odd cyberwar. Kaspersky Lab has recorded a rare and unusual example of one cybercriminal attacking another. 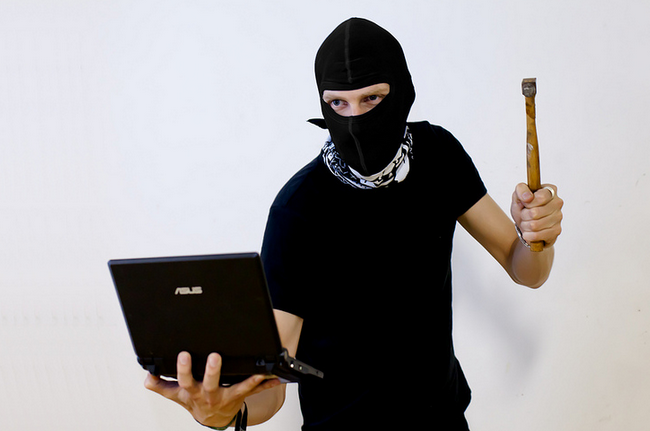 In 2014, Hellsing, a small and technically unremarkable cyberespionage group targeting mostly government and diplomatic organizations in Asia, was subjected to a spear-phishing attack (attempt to defraud a targeted organization by seeking unauthorized access to highly confidential information through email spoofing) by another threat actor and decided to strike back. Kaspersky Lab believes that this could mark the emergence of a new trend in criminal cyberactivity: the APT (Advanced Persistent Threat) wars. The discovery was made by Kaspersky Lab experts during research into the activity of Naikon, a cyberespionage group also targeting organizations in the Asia-Pacific region. The experts noticed that one of Naikon’s targets had spotted the attempt to infect its systems with a spear-phishing email carrying a malicious attachment. The target questioned the authenticity of the email with the sender and, apparently dissatisfied with the reply, did not open the attachment. Shortly thereafter the target forwarded to the sender an email containing the target’s own malware. This move triggered Kaspersky Lab’s investigation and led to the discovery of the Hellsing APT group. The method of counter-attack indicates that Hellsing wanted to identify the Naikon group and gather intelligence on it. Deeper analysis of the Hellsing threat actor by Kaspersky Lab reveals a trail of spear-phishing emails with malicious attachments designed to propagate espionage malware among different organizations. If a victim opens the malicious attachment, their system becomes infected with a custom backdoor capable of downloading and uploading files, updating and uninstalling itself. According Kaspersky Lab’s observations, the number of organizations targeted by Hellsing is close to 20. The company has detected and blocked Hellsing malware in Malaysia, the Philippines, India, Indonesia and the US, with most of the victims located in Malaysia and the Philippines. The attackers are also very selective in terms of the type of organizations targeted, attempting to infect mostly government and diplomatic entities. “The targeting of the Naikon group by Hellsing, in some sort of a vengeful vampire-hunting-'Empire Strikes Back' style, is fascinating. In the past, we’ve seen APT groups accidentally hitting each other while stealing address books from victims and then mass-mailing everyone on each of these lists. However, considering the targeting and origin of the attack, it seems more likely that this is an example of a deliberate APT-on-APT attack,” said Costin Raiu, Director of Global Research and Analyst Team at Kaspersky Lab. According to Kaspersky Lab analysis, the Hellsing threat actor has been active since 2012. • Don’t open suspicious attachments from people you don’t know. • Beware of password protected archives that contain SCR or other executable files inside. • If you are unsure about the attachment, try to open it in a sandbox. • Make sure you have a modern operating system with all patches installed. • Update all third party applications such as Microsoft Office, Java, Adobe Flash Player and Adobe Reader. Kaspersky Lab products successfully detect and block the malware used by both the Hellsing and Naikon actors. To learn more about the Hellsing threat actor and the 'Empire Strikes Back' espionage campaign, watch this video.